The greenhouse, nursery, and flower market consists of the sales of greenhouse and nursery flowers and other crops grown under coverby entitities (organizations, sole traders and partnerships) that produce greenhouse and nursery flowers and other crops grown under cover. Under cover includes greenhouses, cold frames, cloth houses and lath houses. The produce includes mushrooms, other food crops grown under cover, and nursery and floriculture produce. Major players in the global greenhouse, nursery, and flowers market include Color Spot Nurseries, Coasta Farms, Altman Plants, Kurt Weiss Greenhouses, Rocket Farms. The greenhouse, nursery, and flowers market size is expected to reach a higher value by 2022, significantly growing at a steady CAGR during the forecast period. The growth in the greenhouse, nursery, and flowers market is due to low interest rate environment, increasing population and global economic growth. However, the market for greenhouse, nursery, and flowers is expected to face certain restraints from several factors such as weak wage growth in developed economies and climate change. The global greenhouse, nursery, and flowers market is further segmented based on type and geography. By Type - The greenhouse, nursery, and flowers market is segmented into food crops grown under cover, nursery and floriculture production. By Geography - The global greenhouse, nursery, and flowers is segmented into North America, South America, Asia-Pacific, Eastern Europe, Western Europe, Middle East and Africa. 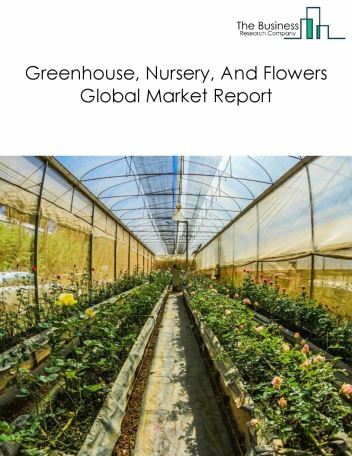 Among these regions, the Asia Pacific greenhouse, nursery, and flowers market accounts the largest share in the global greenhouse, nursery, and flowers market. The vertical farming process can increase the productivity because of its ability to grow in artificial lights, with less water and less usage of pesticides. Vertical farming is the practice of producing crops in vertically stacked layers or inclined surfaces with the help of controlled environment agriculture technology, is the major trend in the greenhouse, nursery, and flowers market. Potential Opportunities in the Greenhouse, Nursery, And Flowers Market With continued technology investment, investments in end user industries and Economic Growth, the scope and potential for the global greenhouse, nursery, and flowers market is expected to significantly rise in the forecast period. Catching 10 Fish at Once? Drones Come To Help! Agribots To Enhance Farm Productivity And Reduce Operational Costs! 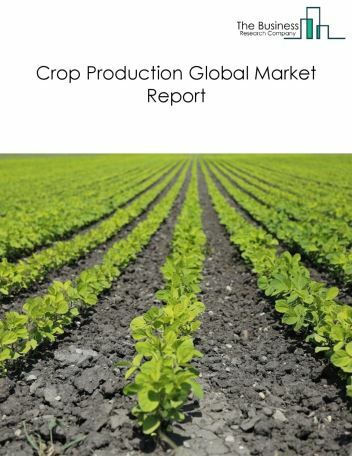 The crop production market consists of the sale of crops by entities (organizations, sole traders and partnerships) that produce crops including farms, market gardens, and nurseries, primarily engaged in growing crops, plants, vines, or trees and their seeds. This market includes crop sales from mixed farms (e.g. cash crops and livestock together in the same farms). This market excludes processed crop grain products such as flour and other products. This market also excludes the proceeds from the captive (internal) consumption of the crop produce for further processing. 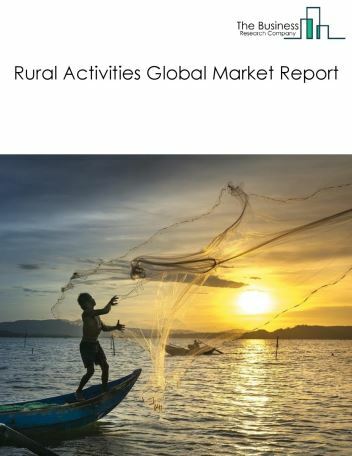 The rural activities market consists of sales of rural activities produce by entities (organizations, sole traders and partnerships) that undertake rural activities forestry, logging, fishing, hunting, trapping and other forestry support activities. Timber, finfish, shellfish and cotton are the main outputs produced through rural activities. 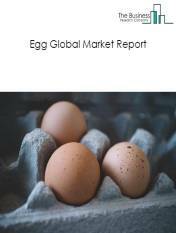 The eggs market consists of the sale of raw eggs by entities (organizations, sole traders and partnerships) that produce raw eggs, including poultry farms and other entities which breed, and/or hatch and/or raise hens and other birds. Market size in this market is valued at farm gate prices. The egg market includes eggs from hens, ducks, geese, quails and other birds. This market excludes sales of bird meat and processed eggs. This market also excludes the proceeds from the captive (internal) consumption of the eggs for further processing. 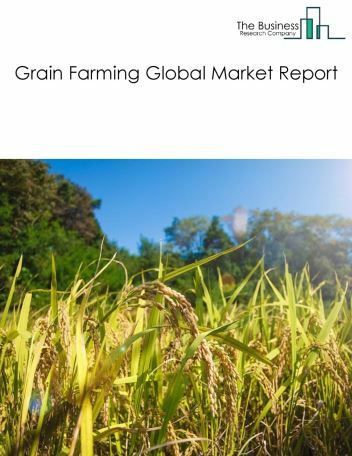 The grain farming market consists of sales of grains by entities (organizations, sole traders and partnerships) that produce grain crops and grain seeds. Grains include wheat, barley, oats, corn, rice and other grains. These crops are typically grown in open fields and have an annual growth cycle. This market excludes processed grain products such as flour and other products. This market also excludes the proceeds from the captive (internal) consumption of the grains for further processing. 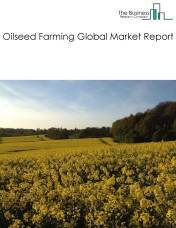 The oilseed farming market consists of the sales of oilseeds by entities (organizations, sole traders and partnerships) that produce oilseed crops earn from sales of oil seeds. Oilseeds include soybeans, sunflower seeds, rapeseeds, sesame seeds and other oilseeds. These crops are typically grown in open fields and have an annual growth cycle. This market excludes processed oilseed products such as refined and unrefined vegetable oils and oilseed extracts. This market also excludes the proceeds from the captive (internal) consumption of the seeds for further processing. 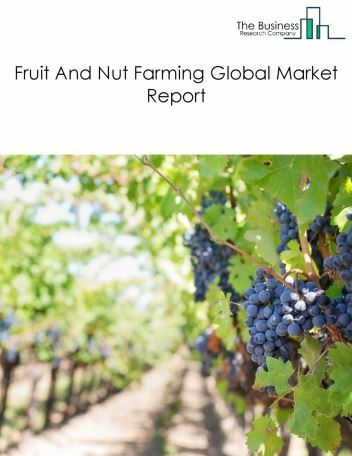 The fruit and nut farming market consists of sales of fruits and nuts farming by entities (organizations, sole traders and partnerships) that grow and harves fruit and nut farming crops. The market includes sales of the produce of orange groves, other citrus fruit groves, noncitrus fruit and nut farming, apple orchards, grape vineyards, strawberry farming, other berry farming and nut farming. 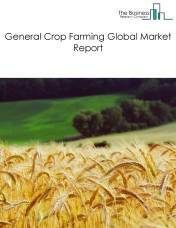 The general crop farming market consists of the sales that entities (organizations, sole traders and partnerships) that produce general crops earn from sales of crops, hay and grass seeds, tobacco, cotton, shelled groundnuts, sugarcane, sugar beet, fibre crops, tea, coffee, rubber and other general crops. This market excludes processed general crops such as smoking tobacco products, refined sugar and other processed general crop products. This market also excludes the proceeds from captive (internal) consumption of the general crops for further processing.